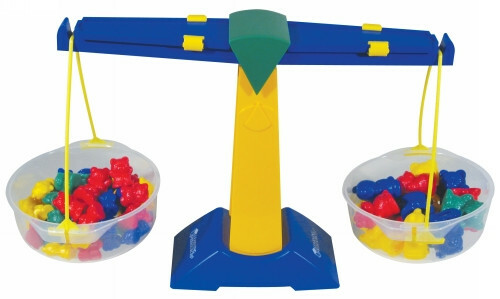 Great for teaching weight measurement, this durable plastic junior size balance lets students measure and compare the mass of a liquid with a specific volume to weights or other objects. Transparent pans allow students to see what they are measuring and relate visual and measured observations. Each pan detaches for easy clean up and holds solids or up to 500ml of liquid.